Whether it is medical technology, automotive industry, optics or dosing technology: isel CNC customers receive a comprehensive carefree package. Individual advice, a fast, competent isel-own hotline, detailed training, prompt support via Netviewer and a simple user interface thanks to modern CAD/CAM systems are self-evident for us. 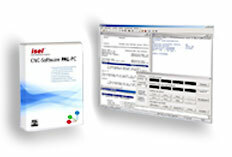 We are also happy to produce a free production sample including video recording of the processing. We find the perfect CNC solution for our customers All A parts of an isel cutter are produced in-house and can thus be adapted to customer requirements very quickly and variably. As a result, we are also able to offer spare parts or alternative solutions for milling machines after years, without the need for a new CNC machine. Despite their advanced control system, isel CNC machines and cutters can be operated easily and intuitively. CNC beginners get extensive on-site training, subsequent questions are answered quickly and simply via the free hotline and also via direct connection. 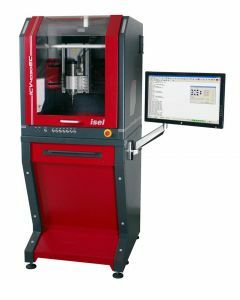 With its own production and modern CAN-BUS technology, isel CNC milling machines can be extended at a later stage, e.g. from 3 to 5 axes. 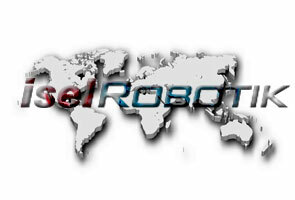 The integration of work-piece or tool changers using a robot or other linear or rotating feed systems is also possible. As a manufacturer of customised special machines, we are well-known for innovative CNC solutions and delivering individual customer requirements. 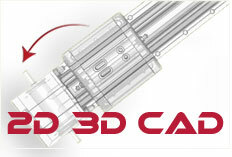 Highly efficient CNC systems from one single source. Starting with consulting, system selection and modern CAD-CAM systems, right up to the machining strategy: we are your partner for anything to do with CNC cutters. From the entry-level machine to the complex CNC machine, we offer our customers efficient CNC systems with maximum performance. 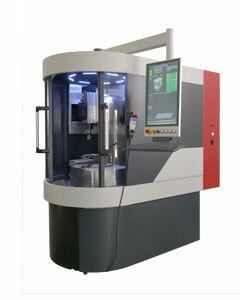 Each series and model can be modified as a special machine. Take us at our word! 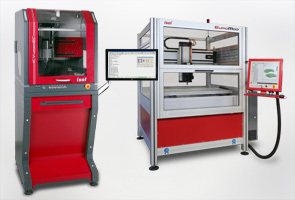 Not exactly sure which CNC machine is the right one for you? 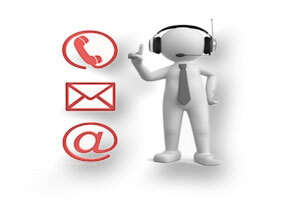 Then why not arrange a telephone call with us? 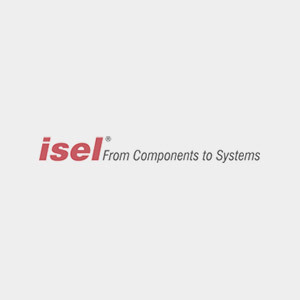 For a host of complex applications, isel has developed a system partner network with specialists for orthopaedic technology, laser technology, dosing technology, plasma technology, 3D printing and many other applications. 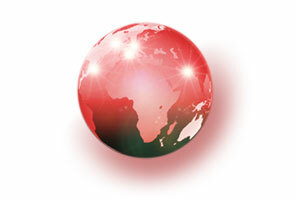 If your question is not answered in our FAQs, please feel free to ask us personally. How are CNC machines powered? In what areas are CNC machines used? What are the features of a good CNC machine? Can you build CNC machines yourself? What is the difference between CNC and NC machines? How did CNC machines come about? What is the largest CNC machine in the world? What accessories go with a CNC machine? How many axes are there on a CNC machine? What types of controls are available? How high is the average machine throughput of CNC machines? What is the control circuit of CNC machines? What is a portal milling machine? How accurately do CNC machines work? What do CNC machines cost? How high is the energy consumption of a CNC cutter and CNC machine? How do you programme a CNC machine? Are there CNC systems with cameras? How does the data transfer from the PC to the CNC machine work? What is the EVA principle? What is the service life of modern CNC machines? Is there a maintenance plan for CNC machines? How are CNC machines structured? How do you clean CNC systems? 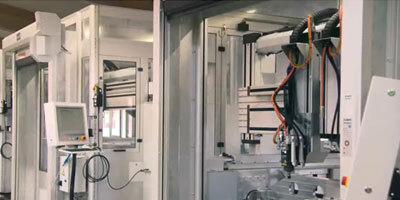 A CNC machine is a computer-controlled machine tool, which uses modern control technology to carry out all work processes automatically and precisely and achieve high unit numbers. Its main components are control, software and built-in mechanics. 2. How are CNC machines powered? The drive elements of CNC machines differ according to the type of application. 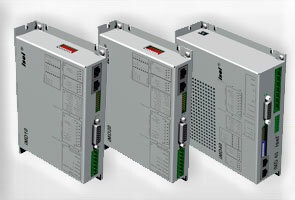 Depending on the requirements, they are either driven by stepping motors or maintenance-free servo-motors, with step motors generally being used in simple applications and servo-motors in more demanding processes. The latest CNC machines are now also powered by linear motors. 3. In what areas are CNC machines used? 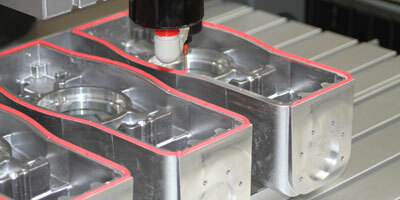 Modern CNC systems are now used as a machine tool in almost all areas of industrial production. The best-known applications include milling, dosing, laser welding, engraving, plasma cutting, gripping and 3D printing. Depending on the requirements, they can process a host of materials including aluminium, brass, plastic, bronze or steel. 4. What are the features of a good CNC machine? CNC machines are complex systems, which can be completely different depending on the requirements. However, there are some features that characterise a good CNC system. These include process reliability, high geometric accuracy and dynamics, innovative operability, traversing speed, expandability and open interfaces. 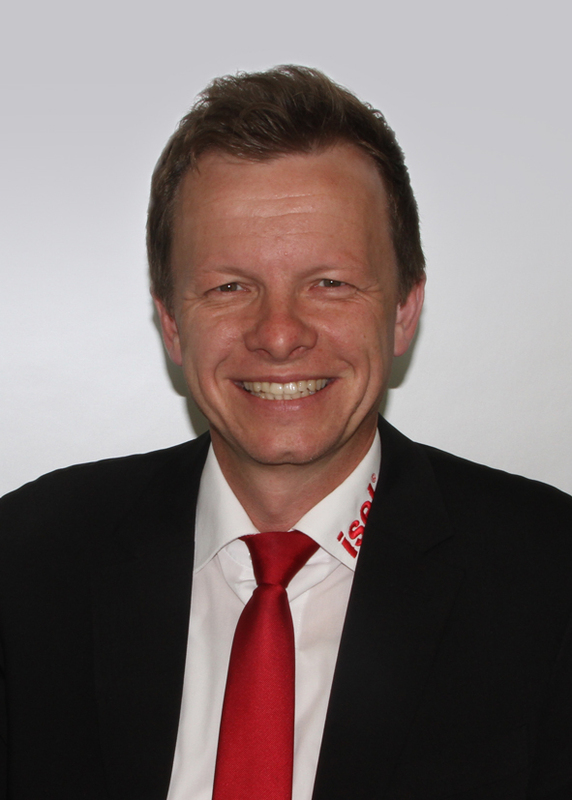 To avoid machine downtimes, you should also ensure there is comprehensive service. 5. Can you build CNC machines yourself? The isel system is based on the modular principle, so it is quite possible to create a machine by yourself. Engineering firms and OEM machine builders use this opportunity to create their own designs quickly and easily. In the new Online-Shop, individual components and various machine accessories such as spindles, milling motors and suction devices can be ordered securely and without any hassle. 6. What is the difference between CNC and NC machines? NC machines were controlled via punch cards and are to a certain extent the predecessors of CNC machines. They are now very old and are no longer used. 7. How did CNC machines come about? As already mentioned, CNC machines were created from NC machines controlled by punched cards. The American John Parsons, who laid the basis for modern CNC technology at the Massachusetts Institute of Technology in Cambridge, USA, from 1949 to 1952 was a pioneer here. The American company Bendix developed the first NC machine with over 300 electron tubes based on Parson's technology. Controlled by punch cards, the individual work-piece carriers were pushed back and forth by separate motors. This process was referred to as the NC programme. In Europe, the first NC machine was introduced in 1959, the tool change was automated in 1965, in 1968 the first NC machine with an integrated circuit conquered the market. 1978, saw the transition to the first CNC machine took place. In 1979, the first machines were connected to the CAD system. Up to the middle of the nineties, the CNC programmes required were hand-written. A tedious task for the programmer, after all, even minimal programme errors could cause serious damage to the CNC machine. From the end of the 90s, programming was done directly from a CAD/CAM system. 8. What is the largest CNC machine in the world? The largest international CNC machine to date is located at the Tosto factory in the Italian city of Ortona. The gigantic CNC milling machine is over 50 m long, 22 m wide and around 18 m high. At a proud weight of 1,300 tonnes, it weighs as much as seven adult blue whales. 9. What accessories go with a CNC machine? A CNC machine will be configured differently depending on the requirements, so no general statement can be made here. CNC machines are nowadays no longer on their own, so they should basically be open to other systems. These include, for example, loading and unloading systems, robots or other handling systems. A connection to a higher-level software system in the sense of industry 4.0 is also recommended. However, the most important "machine accessory" is still good maintenance. 10. How many axes are there on a CNC machine? A general statement is also difficult here, since the number of axes or even the number of modules depends on the respective requirements. A distinction is made between feed and machining axes. The more complex the control system, the more axles usually go with the CNC machine. For industrial milling processes, for example, CNC systems with 5-6 axes are common. The largest CNC machine ever delivered by isel had 21 axes. 11. What types of controls are available? 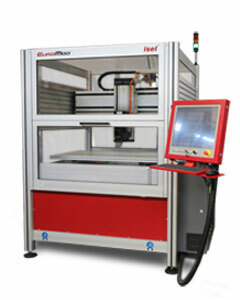 A CNC tool machine is controlled by a computer directly built into the control. This compares the actual state with the target point state by means of position, rotation and status sensors, directly engages the control system from the CNC program and optimises this as required. The CNC control is classified according to the number of axes and is further distinguished by point control, linear control and path control. 12. What is point control? In the case of point control or even point-to-point control, the end point of a movement which is approached by the CNC machine tool in the fastest way is determined. The movement speed can not be accessed during the movement itself, the drive elements run as fast as possible. The tool movement can only be modified at the end points. 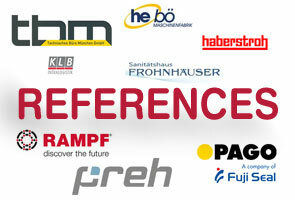 The point control is therefore hardly used in modern machine tools because of its low control options. 13. What is linear control? Linear control to a certain extent is extended point control, in which the movement speed can also be changed. Even linear control is hardly used in industrial production since speed and position can only be controlled with one axis. Compared to path control, linear control is thus considerably more inflexible. 14. What is path control? 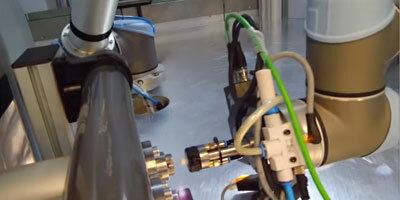 Traversing movements with a minimum of two simultaneously controlled CNC axes can be implemented with path control. The initially separate movement sequences of the individual axes are synchronised with each other, with the result that the tool follows the programmed and optimised path as precisely as possible. In lathes, a 2-D-path control is usually sufficient, the third dimension is produced by the rotary movement of the work-piece. As soon as three controlled axes can be synchronised with each other, we then have 3 D-path control. This is now the control standard in milling. 15. How high is the average machine throughput of CNC machines? The average machine throughput depends on the application and type of motor. Spindle motors cover around 0.2 m per second, while linear motors already hit 2-3 m per second. Spindle motors are usually completely sufficient for the optimum machine throughput of a CNC milling machine. 16. What is the control circuit of CNC machines? A closed control circuit is the basic prerequisite for measuring the efficiency of a CNC machine, that is, comparing the actual state with a target point state using a servo-controller. If the control circuit is not closed, the PC does not receive any feedback, possible deviations from the target state remain unrecognised. Almost all CNC machines used for complex industrial processes now contain a closed control circuit. The production of CNC systems is subject to fundamental and special safety requirements, which must be fulfilled by the machine manufacturer. These criteria are defined by EU directives, especially by the machinery directive (2006/42 / EC) for mechanical engineering and may vary depending on the application and type of machine. To check the specifications, a risk assessment is carried out during the construction process. 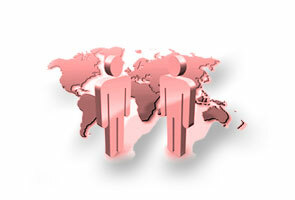 The risk assessment first carries out a risk analysis and risk assessment of all hazards. Then the hazards are evaluated. The resulting constructive, control specific or instructive measures incorporated into the design and production process. The risk assessment is the basis for the so-called CE conformity evaluation process, which all machines undergo and which ends with the issuing of a declaration of conformity / incorporation and the affixing of the CE mark to the machine. 18. What is a portal milling machine? A portal milling machine is a cutter whose milling head is guided on a connecting member between two posts. The frame produced in this way resembles a portal, hence the term portal milling machine. In industry, portal milling machines are usually used for machining large surfaces, for example, when face milling large panels. In many cases, portal milling machines have two additional milling heads on the cross beam, in addition to the milling head on the columns, so that the sides of the work-pieces can also be modified simultaneously in one machine run. Smaller portal milling machines with step motors are often used as engraving machines, for surface processing, for dosing applications or for plasma cutting. With a travel distance of up to approx. 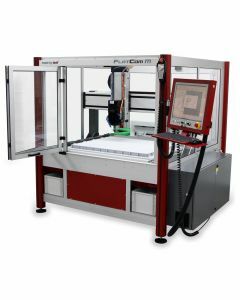 1500 x 1000 x 200 mm, a portal milling machine can also be used in a mobile manner. 19. What is a router? A router is used in the machining of wood, aluminium and other materials. As the term in German "top cutter" suggests, the router is set on the work-pieces from above. It is suitable for chamfering, profiling and milling of grooves. It is also used for free-hand milling and stencil milling. Depending on the application, different cutters are used, for example groove cutters for the production of rectangular grooves or rounding cutters for rounding edges. 20. What is zero shift? A zero shift allows the multiple use of milling or drilling samples in one single clamping. For example, 40 parts can be machined in one operation. The production process is significantly more effective using a zero shift, the machine throughput increases. 21. How accurately do CNC machines work? 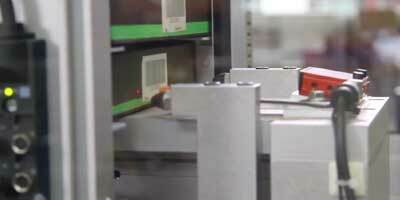 The most important measured values of a CNC system are positioning and repeatability. These are usually measured by an incremental encoder and are ± 50 μ for the positioning accuracy and ± 20 μ for the repeatability. 22. What do CNC machines cost? 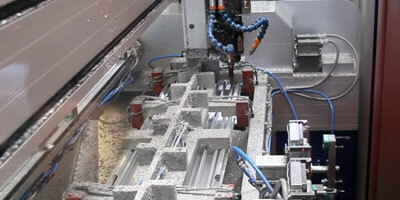 Depending on the application, the cost of CNC machines can range from €5,000 to €150,000. 23. How high is the energy consumption of a CNC cutter and CNC machine? 24. How do you programme a CNC machine? CNC machines are either programmed using modern CAD/CAM systems, directly on the machine or in accordance with Din ISO 66025. 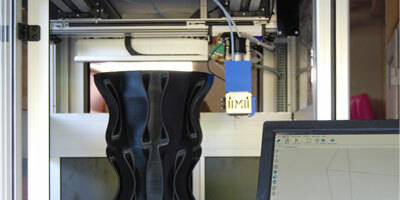 The most modern and efficient method is programming via CAD/CAM. 25. 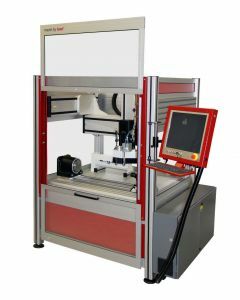 Are there CNC systems with cameras? Usually, a camera does is not part of the basic equipment of a CNC machine, but can be implemented if necessary. However, some industrial applications require a vision system to monitor process machining with the result that the CNC machine is equipped with a camera during manufacture. 26. How does the data transfer from the PC to the CNC machine work? At the company isel, data transfer is done using modern CAN-BUS technology, which allows easy upgrading of the CNC system and fast reaction times. 27. What is the EVA principle? The abbreviation "EVA" stands for the entire working process of a CNC machine, i.e. the input using software, electronic processing and output via a post-processor, which converts the transferred data into individual working steps. 28. What is the service life of modern CNC machines? As with many other aspects, no general statement can be made here, since the service life depends on the type of application and the associated load. The weakest link in the "life of a CNC machine" is, however, in most cases the electronics rather than the mechanics. 29. Is there a maintenance plan for CNC machines? The maintenance plan is part of the operating instructions. It lists the individual components to be maintained. The most important parameter for the maintenance of CNC machines and cutters is the operating hours. These are generally determined by an operating hour counter, which is geared to the respective machine load. The higher the load, the lower the number of operating hours, after which maintenance is required. Once the set number of operating hours has been reached, a maintenance window will open, indicating the necessary maintenance. 30. How are CNC machines structured? CNC systems are normally delivered completely assembled by truck and pushed into the production hall in the finished state. It is only difficult with international deliveries or very large machines, which will not fit through the factory gate because of their volume. Here, isel CNC machines have one obvious benefit, for compared to many competitors, they can be completely disassembled and their aluminium honeycomb construction makes them suitable even for transport and construction on non-industrial floors. This even facilitated a delivery to a high-rise building: the machine was delivered disassembled and transported upwards using a lift. 31. How do you clean CNC systems? 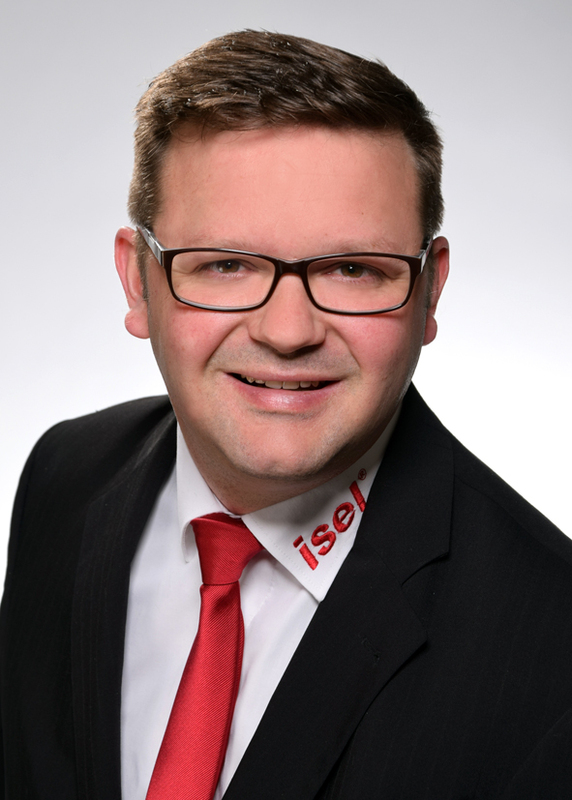 Powerful CNC Machines and CNC Milling Machines: precision work by isel, a german cnc milling machine manufacturer! CNC Machines and CNC Milling Machines by isel are basic machines for production and combine the latest CNC control with the utmost precision and flexible technology. 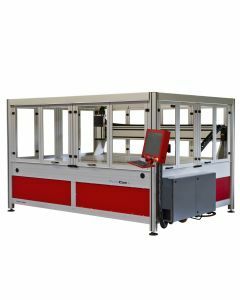 They are used as milling machines, drilling machines, engraving machines, dosing machines as well as special-purpose machines and applied in all areas of the metal industry, wood- and plastics industry, where a high performance in terms of positioning- measuring and repeat accuracy have to be fulfilled. Space-saving high-tec devices, small and compact design they combine sophisticated technology with the highest safety requirements. Best suitable for school and training. They create the processing of plastics, metals and wood without the slightest effort and even can be used on non-industrial floors due to their lightweight construction. To request a quote, please enter your information and an isel distributor will contact you as soon as possible. In order to achieve the best possible machine throughput, the CNC controller will flexibly adapted to the application: Simple applications are controlled by a stepper motor, more complicated applications by a servo-motor with CAN bus. 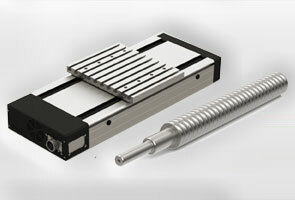 Linear guides from isel are extremely precise by backlash-free ball screw drives and servo-actuators. CNC machines from isel are made of Aluminium extruded profiles with modular building and are ideal for processing light metals, nonferrous metals, plastics and wood. The very stable aluminum profile light-weight construction offers flexible and light dismounting, so that our working machines can be transported through the narrowest doors without problems. 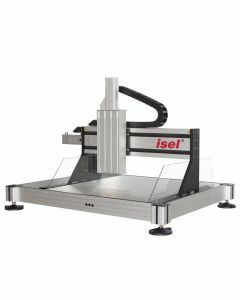 Space saving CNC desktop machines from isel are all-purpose. In contrast to large CNC machines, they are characterized by their small size, security door and their low initial price. Therefore they are suitable for school as well as education. 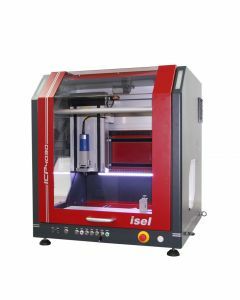 Desktop machines from isel are produced in three different series with stepper motor drive or servo motor drive. CNC frame machines from isel can be used in the processing of plastics, metals and wood. Compared to conventional CNC machines of the competition, they are despite their size also suitable for the use on non-industrial floors, due to their lightweight design. CNC frame machines from isel are manufactured in 6 different series. 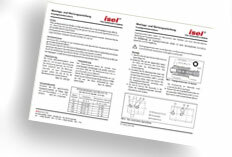 The wide range of CNC machine accessories from isel is specially matched for the use on isel CNC machines. Only high quality and durable raw materials are used for the production of all components. All parts are produced in Germany.